Tyre review data from 127 tyre reviews averaging 87% over 1,363,988 miles driven. Positive - Good handling in all conditions, highest aquaplaning resistance, good level of comfort. Negative - High price, average lateral stability in the wet. Positive - Best driving dynamics on test, and in the top 3 in almost all tests. Excellent wet and dry handling, low wear. Negative - High purchase price, average rolling resistance. The OE Ecopia tyre is a dedicated low rolling resistance tyre, whereas the Pilot Sport 4 is a sport tyre with low rolling resistance. While they've not been tested together, we would expect the Bridgestone to have the slight edge in rolling resistance, but the PS4 to have vastly better wet grip. You can also check the EU rolling resistance label score in your size to give you a better idea. 2016-05-21 - Are the pilot sport ok for a lotus evora 2009 na? Assuming you can get the correct tyre size, there's no reason the Pilot Sport 4 wouldn't be a great tyre on a light car like the Evora. If you're coming from a more dry / track focused tyre, you might find you lose some steering feel with the Pilot Sport 4, but gain comfort. 2016-08-08 - Which is the country origin of the Michelin Pilot Sport 4 , 245/45/17 ? Pilot Sport 4 is made in Germany, France, Spain and Italy (in that order predominantly) but may be the odd ones from other plants. We never have a definitive list size by size, because our quality structures are the same country to country, plant to plant and in most cases the compounds and carcass materials come from the same plants and are "assembled". We know from testing we've done, we don't have the big differences with identical tyres made in different plants that some manufacturers have. 2016-10-13 - I am about to change my tyres on my merc E220. I have opted for the reviews on the Michelin Pilot sport 4 but cannot find a 225/50/R17 /98W or Y. Is it available and from where? It doesn't look like a 225/50 R17 Pilot Sport 4 is available yet. More sizes are being produced all the time. 2017-04-05 - I have a mazda mx 5 . Is this tyre too good for this car . ? Is it quiet and comfortable ? Yes, the Michelin Pilot Sport 4 is both quiet and comfortable. There are quieter tyres on the market however you would lose some sporty feel, which is important on a car like the MX5. 2017-08-17 - I am driving 2013 BMW 330D Xdrive with dimensions 225/45/R18 and I cant decide is it better to purchase Michelin Pilot Sport 4 or Continental Premium Contact 6??? It is very hard to find those two tyres in comparison in this dimensions! I am looking only for the best tyre! This test should answer your questions. Pilot Sport 4 in 1st place, Premium Contact 6 in 3rd, using your size. In 99% of cases, the newer PS4 is the better tyre. The PSS has the edge in dry grip, feedback and track day work, but if you're using the tyre on the road you won't be disappointed with the PS4. Without specific testing it is too difficult to answer properly, however it's worth noting you will have to declare the new tyre size as a modification to your insurance company which is reason enough to stay with the OE size. 2018-02-27 - Shouldn't this tire be labeled as "Ultra High Performance" and not "Max Performance" as it is the direct replacement for the Pilot Sport 3? The Pilot Sport 4 S is the "Max Performance" as it is the direct replacement for the Pilot Super Sport. It's an interesting question. The Pilot Sport 4 is the direct replacement of the Pilot Sport 3, but Michelin moved the game on so much with regards to sporty handling and feel of the tyre it deserves to be in the higher category. 2018-03-17 - Hi, for a Honda Civic 1.8 petrol 2010 tyres 225/40/R18 Y XL would Michelin PS4 or Pirelli PZero PZ4 give best ride comfort? I know Goodyear Asmm. 3 offer good ride but currently I have Potenza S001 at front PS3 rear so concerned about softer sidewall of Goodyears. Many thanks. I've not tested them back to back so I'm unsure which would be more comfortable, but if I had to guess based on experience I would say the P Zero PZ4 would be slightly more comfortable than the Pilot Sport 4. Both tyres are produced within the allowable size guidelines so technically they should work fine together, however it might be worth checking owners forums to be sure. 2018-06-15 - Hi guys! I am using this tyre (Pilot Sport 4) on a Hyundai Genesis Coupe also equipped with B14 Bilstein coilovers... I have 225/40/19 front and 245/40/19 rear... BUT I still haven’t found a proper pressure tyre to set, in order to feel a good feedback and feeling from the car... I feel it not coumicative, and on the fast straight I find a little vagueness in the center if I move left/right of few cm on the steering (with pressure at 2.3 bar) What di you recommend?? Sadly the PS4 is a little vague due to the higher levels of comfort. I can't recommend anything specific, but a small amount of over inflation can help with steering response. 2018-07-31 - I really want PS4"S" for my 18inch E46 M3. BUT they are only 19 inch at the moment right? So given I want decent performance on track, do I go Cup2 or would these non "S" PS4's be ok? 2018-09-05 - Hey there. I own a '06 Mercedes E550. I just bought a set of lighter 18'' rims and next summer, I want to fit new 245/40 tyres. I only drive 4000kms in the summer, rarely spirited, so wear is not a concern. Yet I demand a good steering response and light weight to make for a more nimble feel of the car. I think I wanna go with the PS4, yet I think about the Falken 510 also. In the past, I regretted fitting mid range tyres. But due to the low miles, and the good test, I feel like giving the 510s a try. Yet I fear that they will be overwhelmed by the weight of the car and the V8 on the front axle. Would you recommend just going with the PS4 or could the 510s be an option? I'm not sure either the PS4 or FK510 will be the answer to your question, both have quite soft sidewalls. If steering precision is your drive above all else, something like the Vredestein Vorti R might be a good tyre to look into. The PS4 won't feel as sporty as the Pilot Super Sport, but will certainly more comfortable and quieter and it has excellent wet grip, so would be a good choice for your Jag. 2019-03-18 - Hello! I'm about to replace the Michelin Energy tires on my VW Golf5. I'd like to extract more sportiness and feel out of the car while retaining a solid and safe daily driver with nice comfort and low noise. Aiming for the Pilot Sport 4 or the PremiumContact 6. The Golf is not a sports car but since i dont wear tyres too fast, the price premium is not that much considering the relative small 205/55 R16 size, so both fits within my budget. Which one would you think suit me (or the car) better? I heard a few complaints about the PS4-s behaving jelly-like when pushed. Im aware that a road tyre in this size, no matter the brand, wont give the kind of feedback as a smaller sidewall variant with a bigger wheel would, so that behaviour might still be the same with a PC6-s in the same size. Whats your take on this? Thank you in advance, and keep up the great content! The differences between the Pilot Sport 4 and PremiumContact 6 are now so small both tyres will be an excellent option if available in your size. I have today (11/01/16) received some of the first available Pilot Sport 4's in the UK. They are to replace my worn out Goodyear Eagle ASY 2's on the rear of my GAD Tuned C250 Cdi. Aesthetic appeal: They look good and sit well on the rims, a pleasant development over the PS3, both in tread pattern and sidewall appearance, without being 'over the top'. Cost: For my size I paid £145 per corner delivered from mytyres, however tyreloader(?) have them currently at £135. As they are new on the market I expected to pay a premium, and I anticipate as they become more established the price will come down in the coming months. Other: They have a good size/width kerbing protection ring which is welcome, especially as they did not state they had one in the sellers description. A must for expensive alloys! Potential downsides are that when measured from new I have gotten a reading of 7.2mm tread depth, as opposed to the 8mm once seen from new on sport tyres. This seems to be a growing trend as the Hankooks and Bridgestones I have used on my other cars in recent months have also been supplied with 7mm from new as opposed to the 8mm expected. I have also noticed that the grooves (in my size at least) seem wider than the PS3's I have used in the past. Whereas I am sure that the performance of this tyre on our British roads esp. in the wet will excel, I am concerned about the longevity of this tyre and its potential wear rate as simply there is less rubber contacting the road. Lets hope the compound will make up for it! I have found on my other cars that these wider grooves and lesser tread depth is causing my tyres to need to be changed much more often than their predecessors (under much the same driving conditions and mileages), so despite the marketing bluff about increased longevity, I am sceptical. I will re-review when I have had chance to get some miles done on these tyres. Have you driven on the Michelin Pilot Sport 4 tyre? 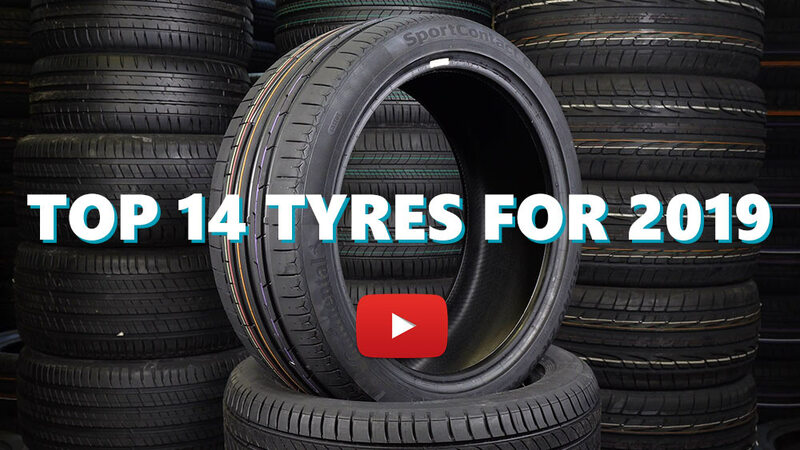 Please help millions of other drivers make an informed tyre choice and pick the correct tyres for their car by submitting your review of the Pilot Sport 4. Replaced my Pilot Super Sports with a set of these on the rear of my GT86 because they no longer made the SS’s in the same size. It has made a dog of the car. The stability system now kicks in even on slight cornering and car feels very nervous. After eliminating all other possible issues, including two separate alignments, it’s definitely down to the tyres. Ultimately they do provide good grip when settled into a corner but it’s as if you have to drive of a 10m stretch of ice to get to that grip. You never know if you’re going to loose control on the way there. Would not recommend these if you want a sporty driving experience. Very good tyre, good feedback, good grip. Handling is precise and predictable. The only drawback is that it does wear quite quickly when they are hot : I have done a trackday with my daily-driven car, and they did suffer a lot but they were consistent. There are better tyres for track use, but I don't think so for a every-day tyre that is quite capable. They are on the pricey side, but there are often discounts with Michelin. Purchased a set primarily for the street and wet track days. (I have semi slicks for dry track days) I would have bought 4S but not available in this size in Australia. I haven't spun the wheels yet! I made my purchase after reading every review and comparison test I could find. Excellent grip both dry and wet. The best steering feedback and precision I ever got in this car, by far. Nice comfort, and avergae noise and rolling resistance. However, wear rate was disappointing (other sporty tyres lasted 25-30% more, like the OEM Conti SportContact2 or the GY F1 Ass2). Only done 150 miles but half of those have been on twisty roads in 14 degree temperatures, in spirited fashion. First impressions are very very good! They replace bridgestone potenza s001 which were good, but these feel mùch more comfortable and smoother at low speeds. They're also more responsive and understeer is less apparent. Braking feels better as does acceleration, with them feeling more planted. I run pressures at 36psi all round. I expected a slight difference as the bridgestone had 2.5mm tread but this feels a different car. No wet miles yet but to be fair, tyres made of grease proof paper would rival the old rubber! The tyres also look better on the rims, looking lower in profile than the bridgestone. Finally, I feel more confident getting the throttle on earlier out of corners already. No doubt more fun to be had.